Elizabeth who just split from her husband, ends up going back home to mom. She comes across one of her childhood toys, a Jack-in-the-box, which was the very same one her frustrated mother imprisoned her childhood "imaginary" friend Fred, many years ago. Low and behold Elizabeth now opens the box, and out springs Fred with 21 years of pranks stored up! 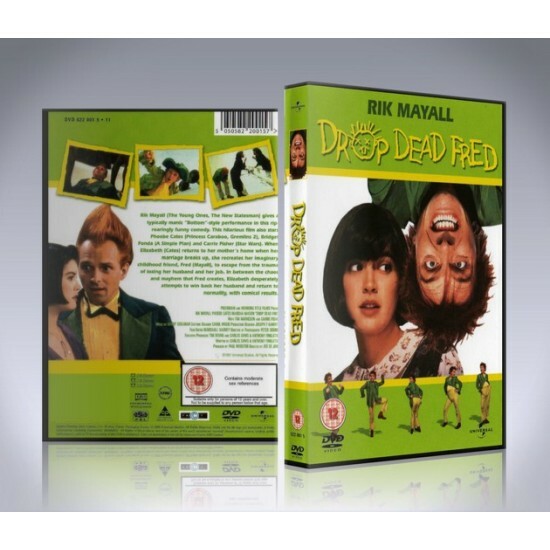 The Drop Dead Fred DVD includes custom artwork and DVD menu.